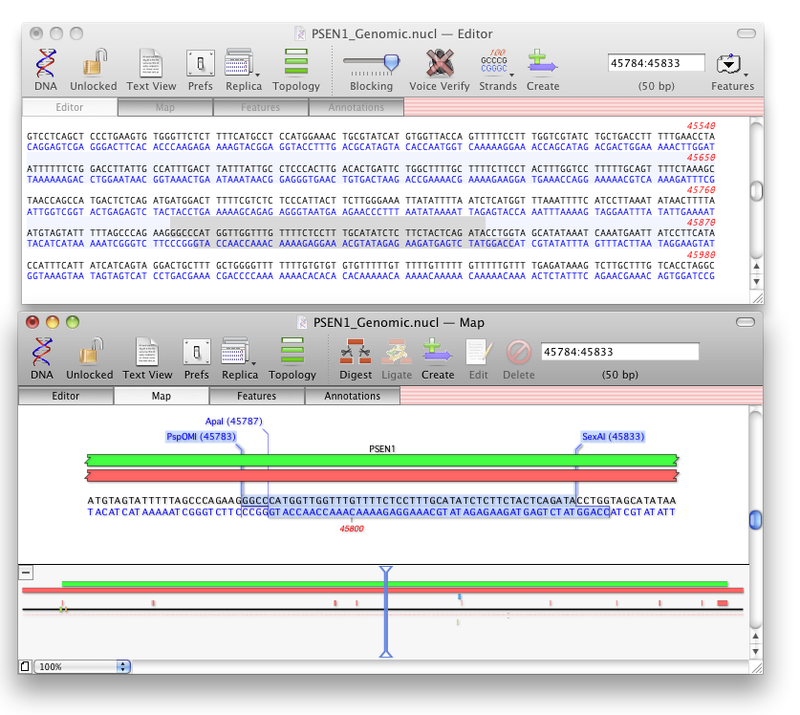 « MacVector 12: Annotating the sequence in the Editor View. Displaying your sequence how you want to display it. We’re all different and one researcher’s preferred way of viewing their sequence may be the opposite of their lab mate’s. With MacVector we try to give you the flexibility of viewing a sequence how you want you view it. With the replica button it’s easy to show multiple views of the same sequence. With a couple of clicks you can view your sequence map AND your sequence at the same time. If you want to that is!